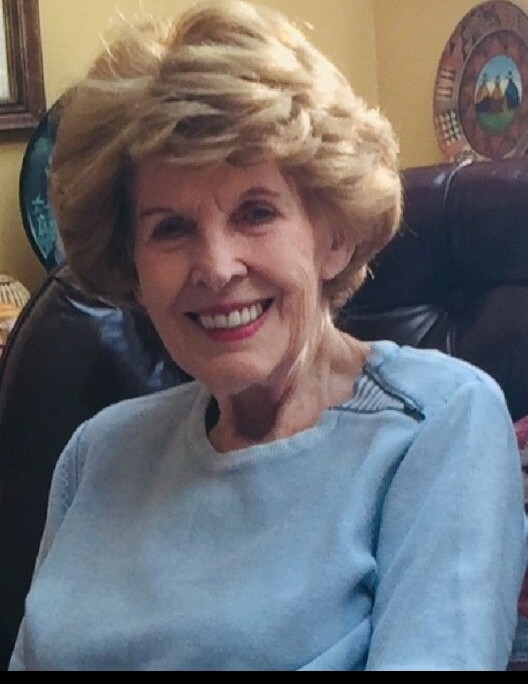 Obituary for Rosemary G. Corcoran | DellaVecchia, Reilly, Smith & Boyd Funeral Home, Inc.
Rosemary G. Corcoran of Berwyn PA. Died Monday, April 8th, 2019 at her home after a brief battle with cancer. She was cared for by her daughter Julie during the past two months while surrounded by her loving family and her grandchildren. Rosemary was born in Boston and was the daughter of the late John and Anna Melavin. She was one of five siblings. She was the adoring wife of Francis (Bud) Corcoran with whom she shared 43 years of marriage and many beautiful memories of her family. Rosemary attended business school in Boston after graduating high school, and worked at the Boston Public Library before starting a family. She and Bud moved to Elmira, NY in 1962, before settling in Paoli Pa in 1966. Rosemary loved entertaining with Bud and was known to have a dish for every occasion. She and Bud visited Kennebunkport, Maine many times in the early 1950's and that began a lifelong love of Maine. They purchased a home in Kennebunk, Maine in 1983, and that has been a vacation home she enjoyed with for her family and grandchildren through this past summer. She and Bud forged many lifelong friendships through IBM. Rosemary loved her family, adored her grandchildren and had a zest for life until two months before her death. She and Bud took many wonderful trips together, and she had the courage and passion to continue her travel after Bud died in 1992. Rosemary has travelled the world on 48 global adventures since 1992. She was on the Sea Diamond ship in April of 2007 that ran aground and sunk off the Coast of Greece. She climbed overboard and journeyed down nine stories at night on a rope ladder to a row boat to be brought to shore. The next day, she called her daughter Julie to let her know that some people were going home but she was continuing forward on the trip. Rosemary also slept in a tree house in Africa on one of her trips there and loved waking up with the giraffe looking into the tree house. She had no fear and loved the sense of adventure to see the world and experience many cultures. Rosemary enjoyed her last trip in the fall of 2018 to Egypt with her daughter Julie. They shared adventure together and created beautiful memories. Rosemary was also an avid bridge player and belonged to three bridge clubs, playing multiple times each week. She also had a great passion for antiques that she passed on to her children and grandchildren. She loved that her grandchildren enjoyed sharing time with her, and that they also enjoyed the passion of collecting something special to them. Rosemary also loved attending any event that involved her grandchildren of whom she was so proud. Rosemary also had a passion for attending the theater, and The Philadelphia Orchestra. Rosemary was a member of Saint Norbert’s Parish in Paoli for 53 years. She had a deep faith that carried her through her brief battle with cancer. Rosemary is survived by her three children Stephen (Pamela) of Glenmore, Julie married to Monty Goodwin in Spring City and Robert Married to Linda Corcoran in West Chester. She is also survived by her Sister Doris Passi in Santa Barbara, California and her five grandchildren Meagan, Tim, Trevor, Patrick and Thomas. She was preceded in death by her Sister Dottie Blackledge, Sister Kay Murphy, and her Brother John Melavin. Funeral Services will be private for her immediate family at Saint Simon and Jude Parish in West Chester; followed by her private interment at Calvary Cemetery in West Conshohocken. In lieu of flowers, contributions may be made in Rosemary’s memory to The American Cancer Society 1626 Locust St. Attn: Memorials, Philadelphia, PA 19103 or St. Jude Children’s Research Hospital 501 St. Jude Place, Memphis, TN 38105.